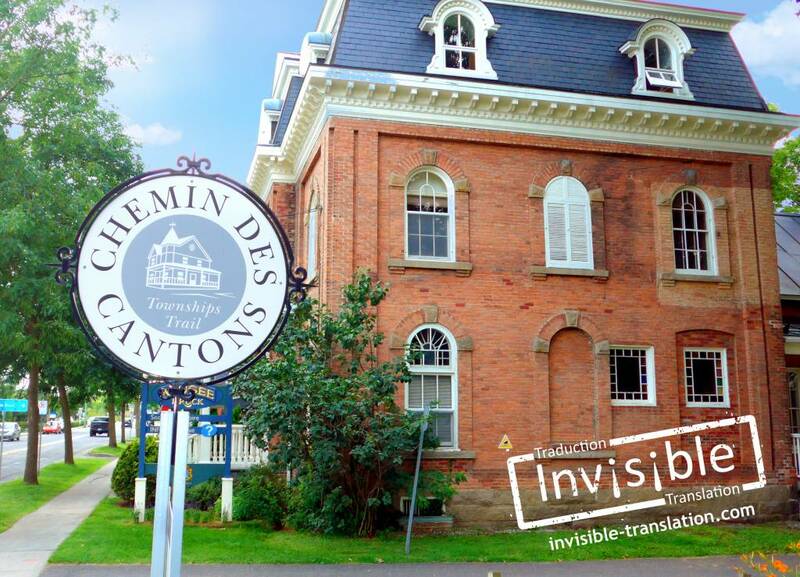 Finding a translation service in Cowansville | INVISIBLE Translation Inc. In Cowansville, translation enables companies to grow by expanding the scope of their written communications in order to better communicate with their customers and stimulate their business relationships. This article highlights the advantages that businesses in Cowansville will reap when they rely on translation services. Are you looking for a translation service in the Cowansville region? Call us right now! Do you require a translation of an official document, such as a driver’s licence? Click here. Cowansville is a dynamic little bilingual village located in the heart of the Brome-Missisquoi regional county municipality(RCM), where well-established companies and unique local businesses thrive alongside one another. It is home to lines of business that must promote their products and services around the globe. According to the region’s local development centre (BMLDC), the Brome-Missisquoi RCM specializes in very distinct areas of the economy. Although the entire world uses English as the primary language to buy and sell, Quebec’s population remains a French majority. Cowansville is no exception, as, according to the 2011 census by Statistics Canada, 80.4% of its residents consider French their mother tongue, compared with 16.2% for English. Shops and businesses must thus adopt appropriate measures to meet the region’s language demands. If they want to conquer Canadian and international markets, economic stakeholders in Cowansville would do well to call upon a professional translation service provider. They require a credible and reputable translation service to help them get their message out to the business world accurately. But to what end? Let’s take a closer look. Promoting the food and tourism industries, among others, Cowansville each year welcomes visitors from around the globe. It is also where the region’s farmers and winegrowers converge. In its Strategic Tourism Plan (French only), the BMLDC set the objective of supporting tourism and expansion of the hiking circuit in the Bromont, Lac-Brome, and Sutton sector. In order to attract crowds to its tourist attractions, meet the needs of its bilingual population, welcome multilingual visitors and seduce potential clients, the city of Cowansville—as with its businesses—must design marketing tools in several languages. Who better placed to assist them than a translation service provider? Translation enables businesses to optimize their language profile and the impact of their communications, thereby contributing to effectively increasing their business development opportunities. In fact, translation gives them the opportunity to shine on numerous local, provincial and international markets. increase the credibility of businesses by broadcasting their message as they intend. Are you thinking of asking a bilingual friend to translate your sales brochure? You’d better read this first. Businesses in Cowansville have a vested interest in contacting a professional service provider rather than resorting to loose or inaccurate translations that would tarnish their image. Who has not visited a poorly translated website or read an indecipherable brochure where unclear sentences make it impossible to understand the message? Some people mistakenly believe they will save money by hiring a bilingual person who professes to be a translator, but, in reality, is not trained in all the rules and conventions required to produce a quality translation. So how do you find the right translation service provider? At INVISIBLE Translation, we deliver the highest quality translations that transpose the essence of your message in another language. To succeed, we rely on the skills of experienced professionals whose reliability and professionalism are recognized by a provincial translation association, such as OTTIAQ, for example. Being a member of such an organization is a guarantee of quality and expertise that protects both the public and clients. Tell us what your requirements are—our language experts are on call to assist you! Contact us now or fill out this form to receive a free quote. We will be pleased to answer all your questions. Cowansville entrepreneurs, are you using a translation service to break into your target markets?